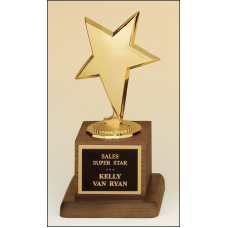 103 Metal goldtone star riser casting on a solid American walnut base. 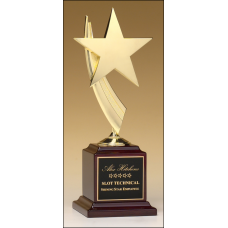 105 Metal goldtone modern star casting on a solid American walnut base. 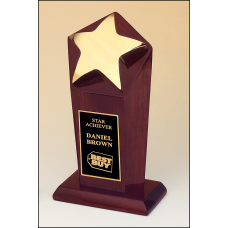 108 Polished metal goldtone star casting on rosewood stained piano finish base. 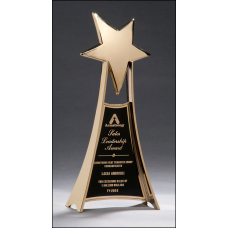 109 Polished metal goldtone star casting on rosewood stained piano finish base. 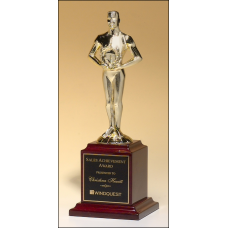 1190-X Classic achiever casting on a solid American walnut base. 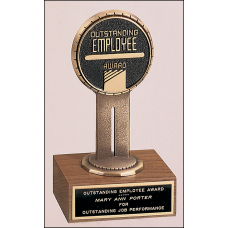 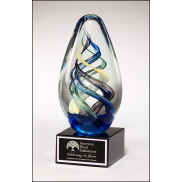 7 1/4"Laser engravable plate.Solid brass engraving plate.Individually boxed.This trophy figurine sho..
1290-X Classic achiever casting on a solid American walnut base. 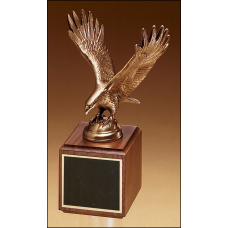 10 3/4"Laser engravable plate.Solid brass engraving plate.Individually boxed.This trophy figurine sh..
1293-XL Fully modeled antique bronze eagle casting on a walnut base. 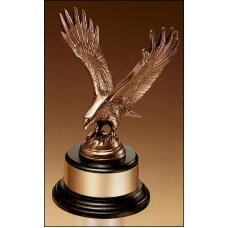 1295-XL Fully modeled antique bronze eagle casting on a black wood base. 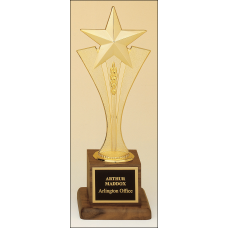 1502 Large and impressive metal star trophy in gold finish. 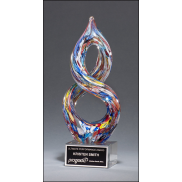 1520-X Classic achiever figure on rosewood stained piano-finish base. 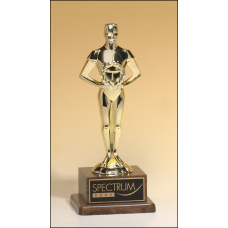 9"Laser engravable brass plate(s).Individually gift boxed.This trophy figurine should not be sold as..
1535-X Classic achiever figure on rosewood stained piano-finish base. 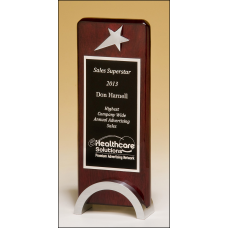 13.5"Laser engravable brass plate(s).Individually gift boxed.This trophy figurine should not be sold..
1570-X Star casting in goldtone finish on rosewood piano-finish base. 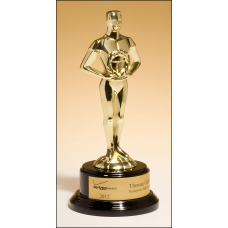 1581-X Classic Achiever Trophy cast metal figurine hand-polished with goldtone finish on black piano-finish base. 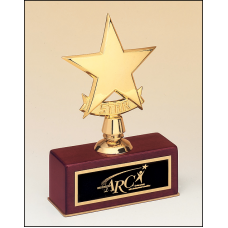 11"Flexi-brass self-adhesive plastic plate compatible with laser or rotary engraversIndividually box..
1584 Rosewood piano-finish award with chrome plated star.